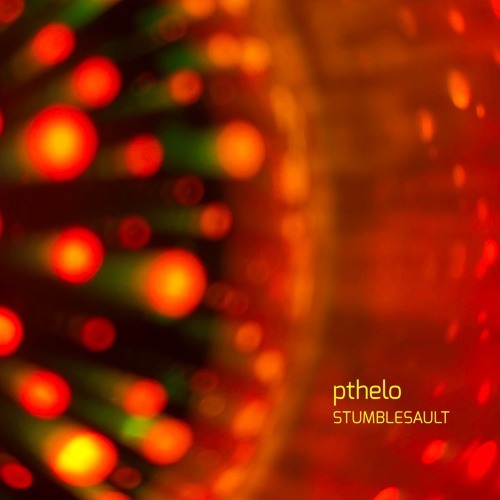 OM006 Pthelo - STUMBLESAULT EP I'd say this track holds it down in the spectrum of groovy, psychedelic sunshine, light and love, good vibes sounds! The main synth riff sounds like the synth is rolling, tumbling, or stumbling down a hill... You'll totally hear it. When you hear it, leave a comment. Or... If you don't hear it, leave a comment! STUMBLESAULT is taken from the upcoming OM SHAPTA release: OM008 Pthelo - Darkness in the Light (Release date: 4/19/2019) STUMBLESAULT Track Notes and Technical Details: The "Stumblesault" sound the song is named for was made with SugarBytes Obscurium synth. The lead synth starts as a SynthMaster patch, which is then layered with a combo of the Behringers Model D and Neutron. The 16th note LFO pattern that comes in and out is the Arturia MiniBrute. Drums were programmed in iZotope BreakTweaker Synth, FX and drum parts also recorded, edited and tweaked in Ableton Live. Featured favorite effects include Sinevibes Luminance and Malfunction! Look for two upcoming singles from the album – OM007 DECASECOND - featuring me playing the vibraphone. That's right, LITERAL GOOD VIBES on the track! OM009 STILLNESS (feat. Jonathan Russell) - Jonathan presents deep, introspective spoken word over a dark soundscape. What will it sound like? This is the best I can come up with: Imagine if Boards of Canada produced a Trap track, add effected spoken word vocals, with an inspired mix of deep, punchy drums, analog oscillators and digital edits and synthesis. POW! Follow me on facebook or twitter for updates. Cheers!